Lucy Stone (August 13, 1818 – October 19, 1893) has often connected with Karen Board Moran across the centuries beginning during a 1991 National Endowment for the Humanities Fellowship at Harvard. Stone had overlooked the Mississippi River at LaCrosse, Wisconsin during her lecture tour in 1856. Over 100 years later Moran also enjoyed that view at the University of Wisconsin-Lacrosse where she earned her B.A. in Physical Education and History in 1968. Moran did her student teaching in Viroqua, Wisconsin (where her great grandfather earned his teaching degree three generations earlier). It was here on 4 July 1856 Lucy Stone “Morning Star of the Woman’s Rights Movement” delivered the first woman’s rights address and anti slavery speech ever given by a woman in the great northwest. The platform broke down. Rising unhurt she cried “So will this nation fall unless slavery is abolished.” Stone owned property in this area. Armed with a M.Ed. 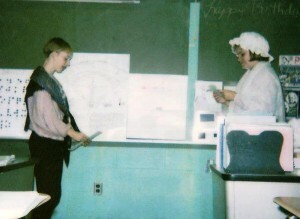 in History from Worcester State College in 1989, Moran started developing lessons to engage her students and fellow teachers in finding women’s stories from the past. She helped students understand why the “bloomer” costume was so much more freeing that wearing a skirt covering 15 pounds of petticoats and a tight laced corset. When Moran retired to Tucson, Arizona in 2005, she was delighted to discover Lucy Stone’s reach to the southwest. Two years before her death, Stone had sent Laura Johns of Kansas to work with Tucsonan Josephine Brawly Hughes to help form the Arizona Territory Equal Suffrage Association (1891) as part of the National American Woman Suffrage Association’s effort to gain suffrage for Arizona women. Lucy Stone’s message is still valid today. Moran’s son Chris, a teacher in Stone’s home town, created this website to help his mother share her work. Lucy Stone: Rebel and Reformer of New England, Lesson created for 1991 National Endowment for the Humanities Summer Institute American History: New Scholarship on Women. Lucy Stone: Central Massachusetts Reformer. This lesson created for 1991 National Endowment for the Humanities Summer Institute American History: New Scholarship on Women includes two brief sketches of lessons dealing with the Woman’s Rights Movement evolved from research at the Radcliffe-Schlesinger Library. The legacy Stone left to her daughter Alice Stone Blackwell. Alice Stone Blackwell as a leader of the National American Woman Suffrage Association. The process a constitutional amendment must follow. Critical thinking about arguments used on both sides. 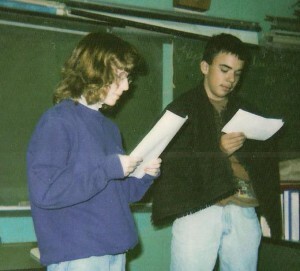 Student involvement in using 16 student actors. English classes read Jean Stapleton’s Vanguard Suffragist: Lucy Stone (1971) in class. Day I Discussion: What work was available for girls in New England in the early 1800s? How was Lucy different from other New England girls? The same? 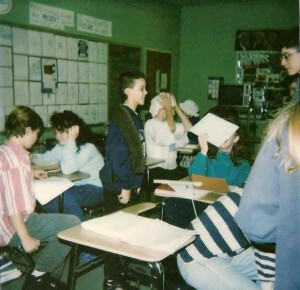 Homework Assimilation: Describe an event in Lucy’s early life that impressed you to a friend in a letter and explain why. Day II Discuss Lucy’s strong convictions about women’s rights and review her dramatic love story. In small groups critically evaluate coverage of Lucy and Henry’s protest vows coverage in the Worcester Spy. Homework Assimilation: Read 1848 “Declaration of Sentiments” in your text. Which two rights do you think Lucy would most strongly support. Explain why. 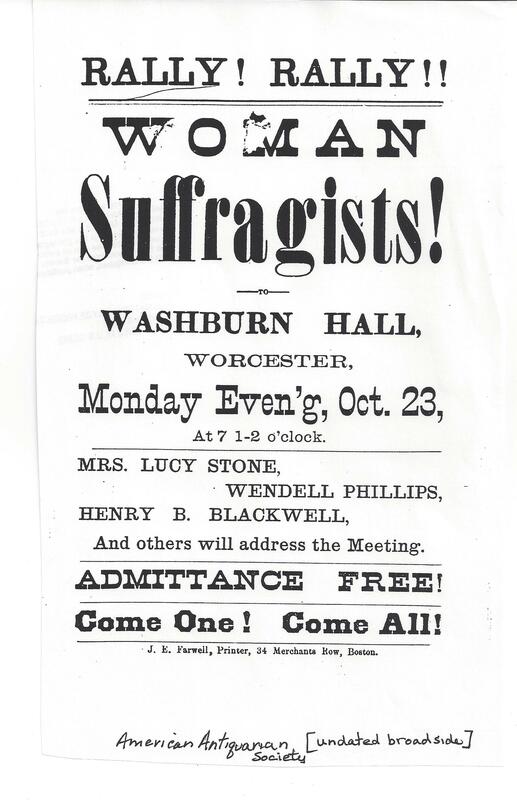 In small groups compare reactions and accounts in Worcester Spy and New York Herald of the first National Woman’s rights Convention held in Worcester, MA on October 23 and 24, 1850. Homework Assimilation: Read the section in your text about the period reform movements. Briefly describe each reform giving the leaders and methods used to bring about change. Day IV Choose one reform movement from last night’s reading–suffrage, education, dress, abolition, temperance, Write a speech, editorial or draw a broadside to win over the class to your cause. Blackwell. Alice Stone. Lucy Stone: Pioneer Woman Suffragist. Norwood, MA: Alice Stone Blackwell Committee, 1930. Harper, Ida Husted. History of Woman’s Suffrage, 1900-1920, VI. Salem, NH: Ayer Company, 1985. Hayes, Elinor Rice. Morning Star: A Biography of Lucy Stone (1818-1893). New York: Harcourt, Brace and World, 1961. James, Edward T., ed. Notable American Women, I. Cambridge, MA: Belknap Press, 1971. Kerr, Andrea Moore. Lucy Stone: Speaking Out for Equality. 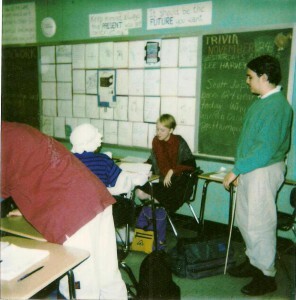 New Brunswick, NJ: Rutgers University, 1992. Lasser, Carol and Merrill, Marlene Deahl, ed. Friends and Sisters: Letters Between Lucy Stone and Antoinette Brown Blackwell, 1846-1893. Urbana, IL: University of Illinois Press, 1987. Park, Maud Wood. 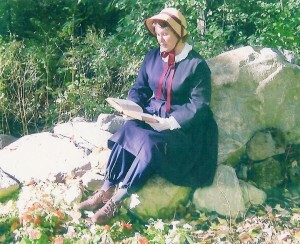 Lucy Stone: A Chronicle Play. Boston: Walter H. Baker Company. 1938. The Proceedings of the Woman’s Rights Convention. Boston: Prentiss and Sawyer, 1851. Available at Schlesinger Library and online at Worcester Women’s History Project. 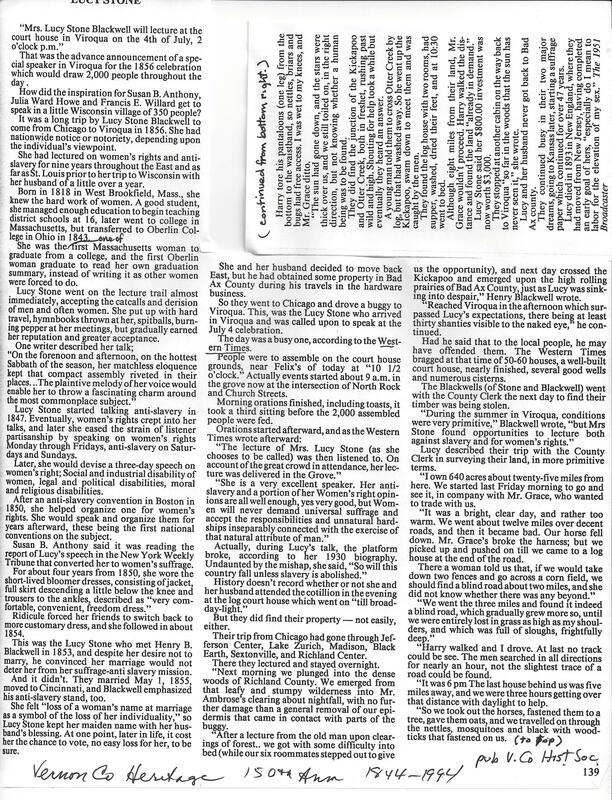 “She Leads Us Still” [Lucy Stone’s Obituary]. 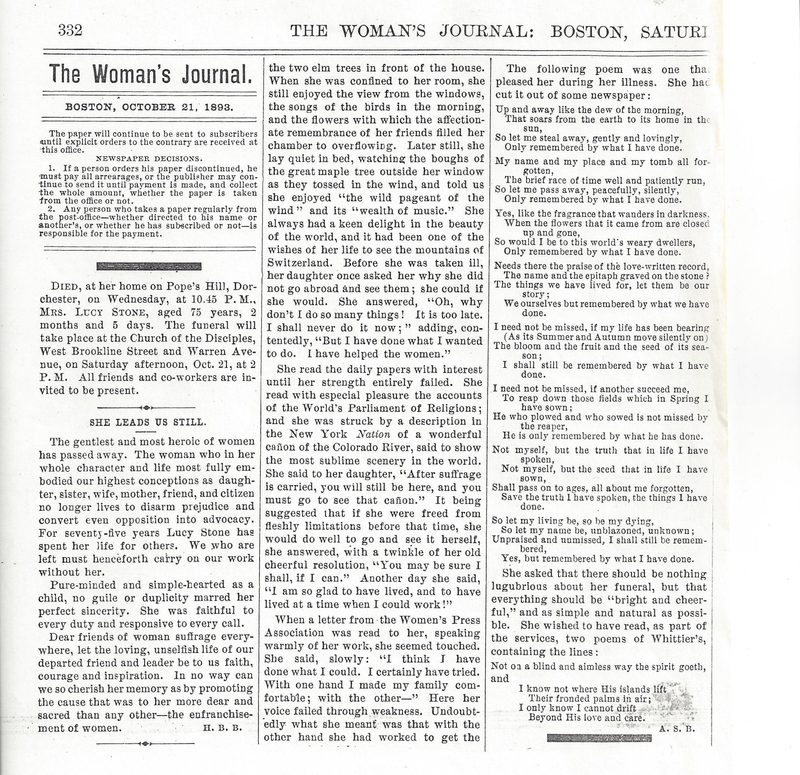 The Woman’s Journal, 21 October 1893. Stapleton, Jean. Vanguard Suffragist, Lucy Stone. Santa Monica, CA: Women’s Heritage Series, 1971. Wheeler, Leslie. Loving Warriors: selected Letters of Lucy Stone and Henry B. Blackwell, 1853-1893. New York: Dial Press, 1981. 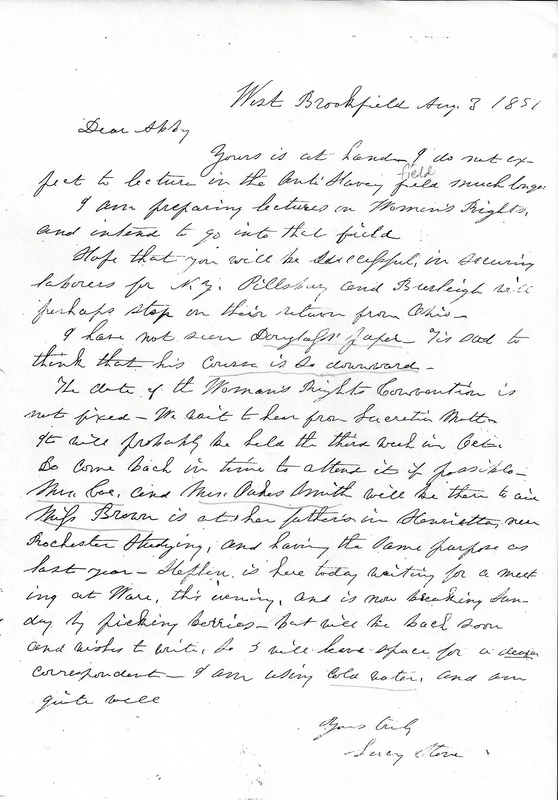 1891 Lucy Stone Letter to Abby Kelley Foster. “Lucy Stone”. Vernon County Heritage 150th Anniversary, 1844-1994. Vernon County Historical Society, 1994.